Throughout his lengthy coaching career, new Pitt offensive coordinator Jim Chaney has transformed quarterbacks from unheralded into unstoppable. At Pitt, he is hoping to do the same with redshirt junior quarterback Chad Voytik. The star pupil of Chaney’s that comes to mind is Drew Brees, a record setter at Purdue and celebrated quarterback for the New Orleans Saints. Chaney sometimes mentions Brees, not by name but by one of his physical attributes. Chaney alludes to him as “that short guy in New Orleans,” addressing his 6-foot, 209-pound stature, which, though large for the average human, is relatively small for quarterbacks, with the average signal-caller tending to stand in the 6-foot-3 to 6-foot-5 range. Now in his first year at Pitt, Chaney is grooming his latest student in Voytik. 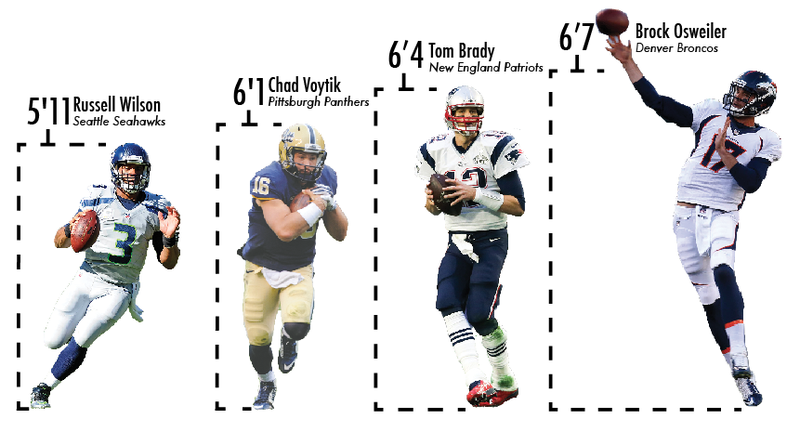 Voytik, Pitt’s starter last year and a man of similar stature to the undersized Brees at 6-foot-1, 205 pounds, wants to replicate Brees’ leap under the longtime offensive coordinator’s watch. Voytik knows that Brees’ training under Chaney was instrumental in Brees’ soaring potential. To develop his quarterbacks, Chaney has collected film of every NFL completion since 2012. While watching it, Chaney complements the plays with Pitt’s terminology, helping to contextualize what he wants to see from them on the field. Voytik said Pitt’s past coaching staff didn’t have such NFL video at its disposal, and Pitt has since taken advantage of the additional resources. It was an up-and-down season for Voytik last season in his first year as Pitt’s starter, finishing with 2,233 yards, 16 touchdowns and seven interceptions. Most of those ups, though, came toward the end of the season: Voytik finished with six touchdowns and one interception in his last four regular season games. So far, Voytik’s development has pleased Chaney throughout spring practice, though he recognizes that learning a new offense and new terminology doesn’t come quickly. Chaney, though, is confident that Voytik’s acumen will elevate his play thisseason. Head coach Pat Narduzzi added that Voytik has the work ethic to match his smarts, and he studies film constantly with Chaney. Chaney isn’t afraid to let Voytik down when he messes up, Voytik said, although the quarterback expects this to benefit him..
Chaney’s method of interaction is stylistically different from that of Paul Chryst, Pitt’s former head coach, Voytik said, adding that Chryst “let you take it and deal with your problems” instead of vocalizing his concerns. As Chaney continues to evaluate Voytik, the coordinator wants the redshirt junior to utilize his legs. “He’ll have me set up right outside the pocket more than he would an Adam Bertke,” Voytik said, comparing himself to his 6-foot-6 redshirt freshman counterpart. Chaney hopes tailoring to Voytik’s abilities will bring his strengths to the surface.